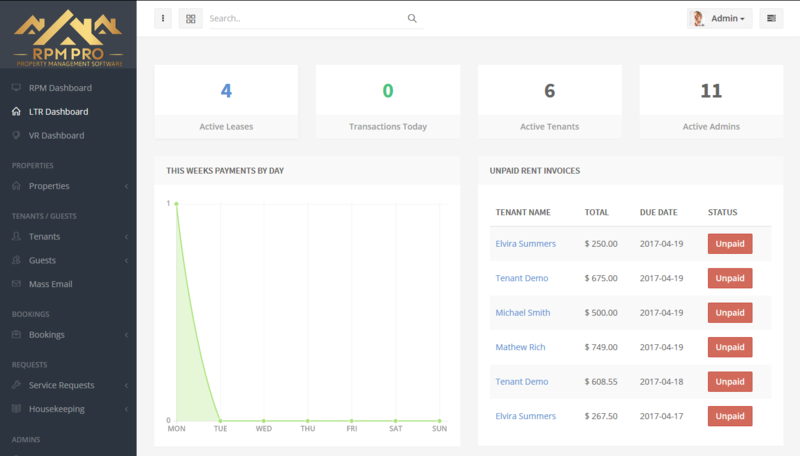 Manage your tenants/ residents, leases, rent payments, service requests and your tenant gets an awesome portal as well! 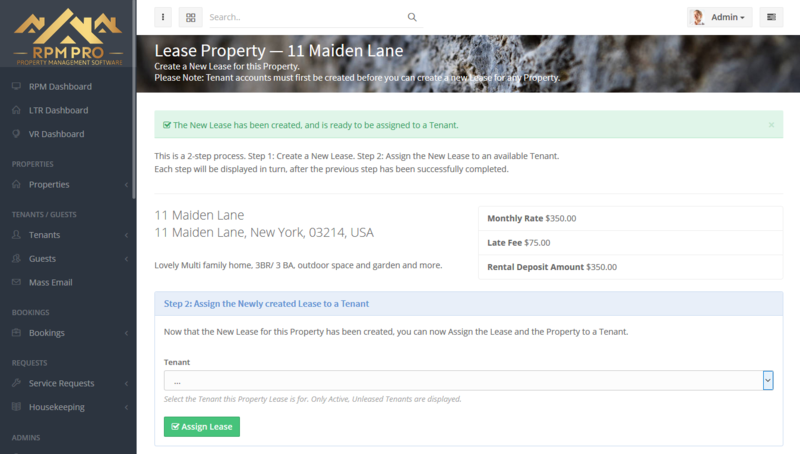 Is simple and easy to use and yet allows you to manage every aspect of any lease that you may have. Creating a lease is a 3 step process, pick a property and a term of lease, select a tenant to lease to and then click a button to create a lease, it really is that simple and easy to use.. The lease is added to the "Active Leases" menu on the left hand side of the software, when clicking the menu you will be taken to a page that has a table that contains all of the basic lease information: What property is lease, who the property is leased to, the creation date of the lease and the end date of the lease. From this page you can also update the lease or close it off forever (When closed it is moved to the active leases menu). After selecting a lease you get taken to the property page that contains all of the lease information and allows you to upload files such as a PDF of the signed contract, it also allows you to add residents to the lease and much more. RPM Pro is setup to alert you when someone hasn't paid their rent, there is a service request created or even if a lease is expiring. All of these notifications are sent out via email and also displayed in real time on your "Long Term Rentals Dashboard" so that you can efficiently and quickly manage your long term rental business. Want more information about service requests?